HOLY MOLY! Every Hobbyist needs to take a look at this pair of MASSIVE paint sets coming out just in time for the holiday season. Years in the making and by strong demand from the many hobbyists and painters all over the World using their products, The Army Painter recently announced the new and complete Wargaming range of Warpaints ready at the end of the year. Spearheading the release of the full in store display rack with all 124 Warpaints available individually – we are proud to announce two new Paint Set in stores December 1st. NEW Mega Paint Set – 8 additional colours – GREATER VALUE! The new Mega Paint Set is great value for money – just like the old one was, BUT EVEN BETTER! It now contains 50 Warpaints including Acrylics, Metallics, Quickshade Washes and the all new Effects Paints like Dry Rust and Disgusting Slime. The 50 colours are especially chosen as the best starter palette for the experienced wargamer. 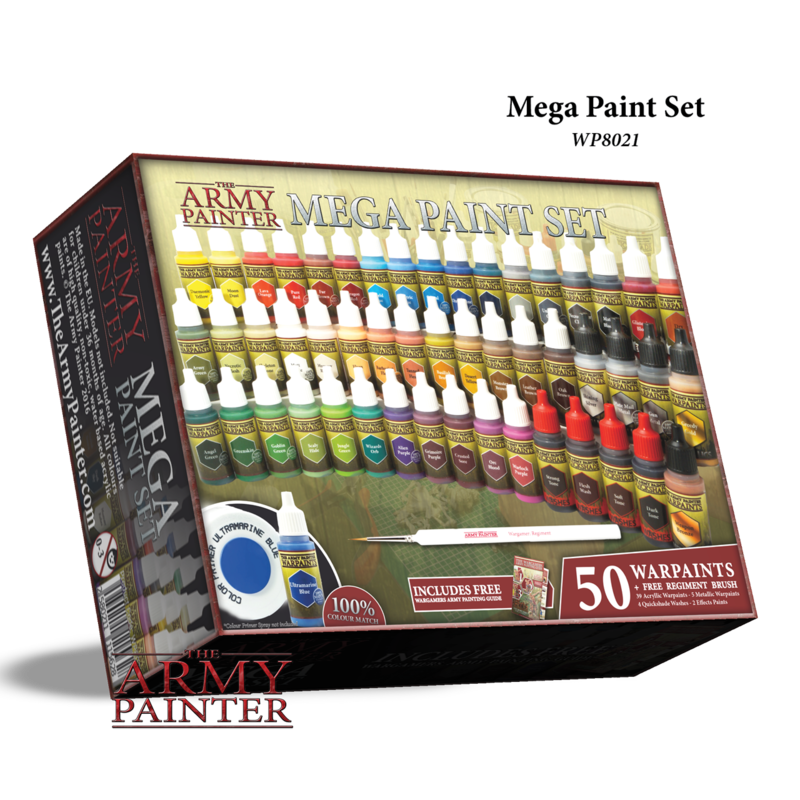 This makes The Mega Paint Set the go to Paint Set for any army project – regardless of size, theme or race of the minis. Same excellent set – only BETTER! The Mega Paint Set is our best-selling product, and with the upgrades we have put into it, that is only going to stay true. The eight extra paints we have added makes the set even more valuable for all hobbyists. NEW Wargamers Complete Paint Set BIGGEST PAINT SET EVER! 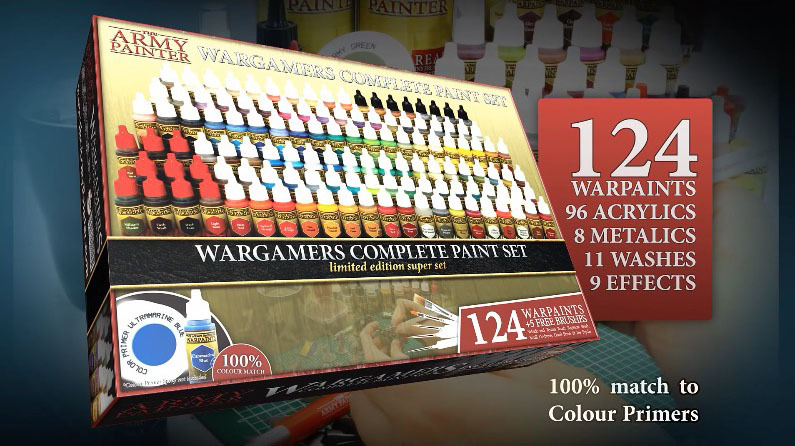 To celebrate the amazing new range of Warpaints we have put together The Wargamers Complete Paint Set, one Paint Set to rule them all! This paint set contains all the colours of the new range making it a must have for painting fanatics. All the colours you could ever wish for. Including 96 Acrylics, 8 Metallics, 11 Quickshade Washes and the 9 all new Effects Paints. Also included are our 5 most popular brushes giving you the tool for any technique you could wish to use on your minis. Everything a Wargamer could ever need – limited time only! 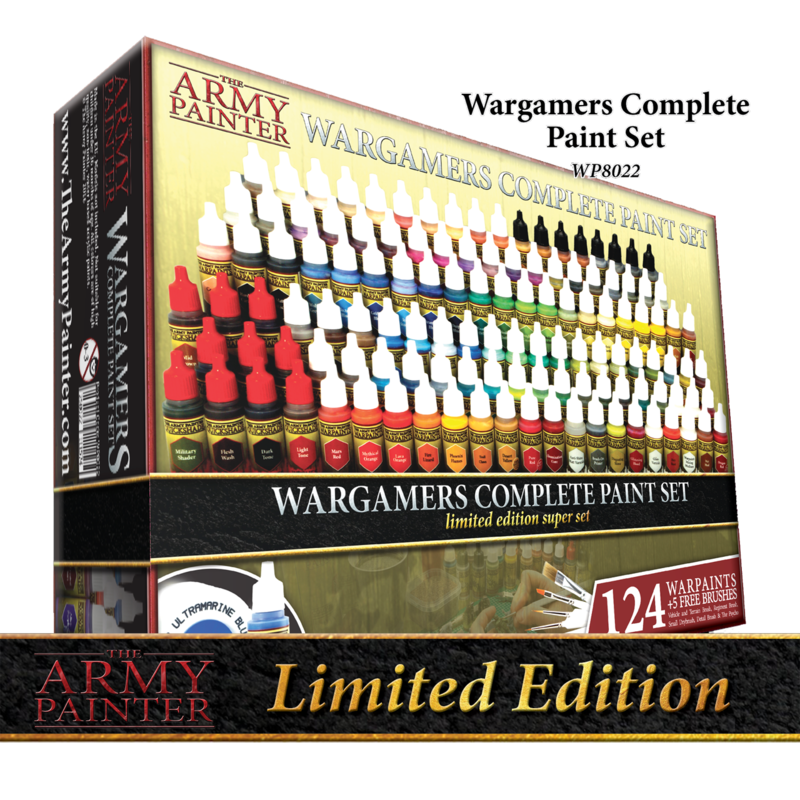 This paint set includes every paint a hobbyist could ever need, at a massively reduced price – and only done in limited numbers. So hurry up and ensure you have reserved a copy. ~Come on – you know you want one under your Christmas Tree.